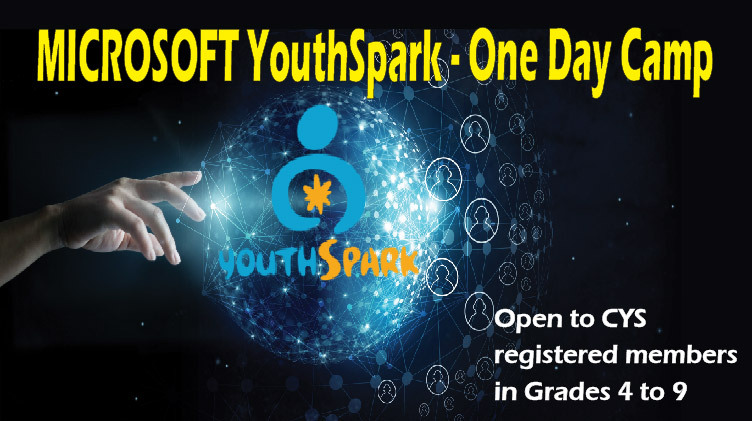 Date: Apr 9 2019, 8:30 a.m. - 3:30 p.m.
YouthSpark is a digital skills education program for youth. Participants will be provided with a catered breakfast and lunch. They will make, explore, and learn about robotics, virtual & augmented reality, 3D Coordinate System for BBC Oceans, and Makerspace code, music, and much more! Youth that attend Anne Arundel County Public Schools who register by Mar. 1, 2019, will be counted as attending a field trip for this event by Anne Arundel County Public Schools. Open to CYS registered members in Grades 4 to 9.